GitHub - hkedia321/VITCabShare: VIT Cab Share - cab sharing made easy. Want to be notified of new releases in hkedia321/VITCabShare? 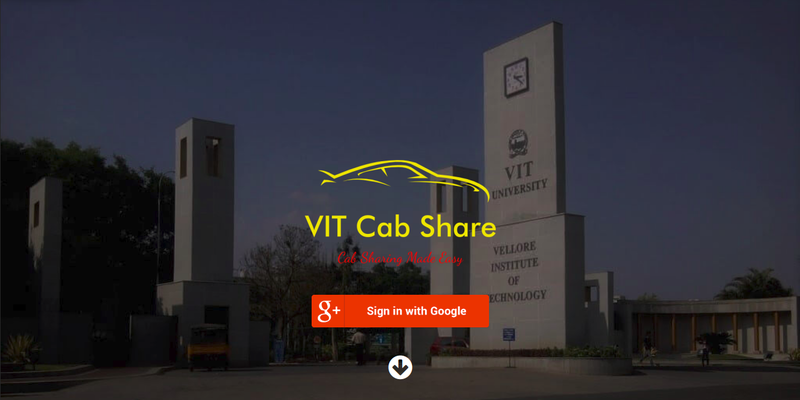 VIT Cab Share aims at easing the process of Cab Sharing and Booking between VIT and near-by places such as Airports, Railway Stations, Pondicherry, and Kodaikanal. You need to log in with your gmail account and provide your journey details. Then you can search for people travelling at around the same time as yours. We also provide Cab booking for easy and secure cab booking.